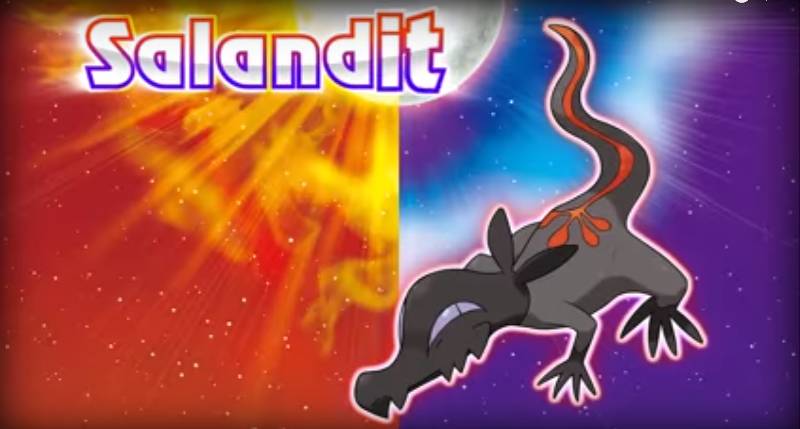 Nintendo shares a look at another new pokemon gamers would encounter in the upcoming game Pokemon Sun & Pokemon Moon called Salandit. Thanks to the official, English Pokemon channel we get to meet the poison/ fire type Pokemon Salandit. Bragging rights to this Pokemon for being able to poison almost any type of Pokemon including steel types and even other poison types. You can also check up on other Pokemon related news.